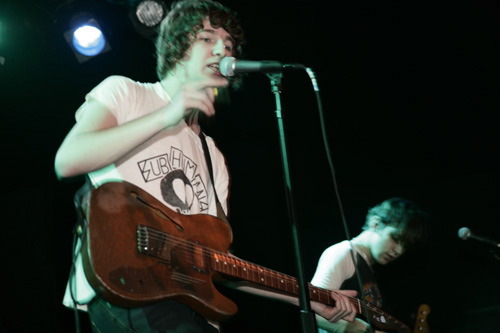 The Kooks have come a long way from our first interview in the winter of 2005. I first met the then-unknown band at John Henry’s Rehearsal Studios in King’s Cross, a ramshackle section of London. Our interviews launched from there to a snazzy rooftop in Brooklyn and now to a hotel room in Kansas City. Now a household name, The Kooks’ mania has spread everywhere, from supporting monstrous acts like the Rolling Stones to hearing their tunes in various commercials. 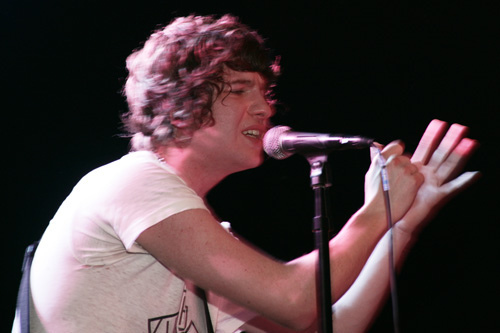 I chatted to the front man Luke Pritchard, who is universally agreed upon as a ‘dreamboat,’ about the new album ‘Konk’ and his love for New York and more specifically, Brooklyn. We’re doing some sort of radio gig with Death Cab for Cutie. So then you’ll be heading to New York. Are you living in New York or England now? For some reason I thought you lived in Brooklyn. I’ve been thinking about getting a place in Brooklyn for a while now, because I have a lot of friends there. But we’ve been on tour and I haven’t had the time. What is it about Brooklyn that you connect with? I love New York. I spent a lot of time there [in Brooklyn]. I got to know it pretty well. It’s a cool place and I really like the music scene there. What kind of bands are you into from there? Vampire Weekend and Yeasayer… those groups of bands. Any venues you prefer to play in Brooklyn? I really like the Music Hall of Williamsburg. It was really cool before they renovated it [laughs]. What was it called before? Northsix. I saw you play there a few years ago! Yeah, it was about two years ago. It’s crazy how time flies. Do you feel like the second album took a long time to produce, or has timing been right? It feels right, but at the same time it feels like quite a long time. We could’ve done four or five albums. It’s difficult now, being in a band, the way things are. You have to do a lot of promotional stuff and a lot of touring. We didn’t get around to this record as quickly as we wanted. It’s probably for the best, especially with what’s going on with our bass player. That’s taken time as well. You can also measure the amount of success you’ve had with the first album because of how long it takes to get to the second album. You have so many bases to cover at first, and people have been responding so they want more of you guys. It’s a funny thing. The more people respond the more opportunities we get and the more places we visit. You said you wanted the second album to be “big.” Do you think it met your expectations? Yes, I think it goes without saying as a band we want to do well, and why not? It seems to be going really well so far. We just want to move forward from the first record really. I read that you had so many songs to choose from. Was that the best or the hardest part, choosing from all those songs? It was all right; it was kind of hard choosing the songs to record. With the amount of material we have, we could’ve done four albums by now. But it was better than having no songs. I know a lot of bands that tour for a while, then come off tour and realize they have to write songs for the next album. We just constantly write. Looking forward, have you discussed plans for a third album, moving things quicker? Maybe you can record the next album in Brooklyn? It is a long way, maybe January/February next year we’ll start rehearsing it. I want to record some of it in New York. Have you ever recorded anything in New York? No! It would be good to be there, you can get away from the city quickly, and then come back and party and such. New York has a bit more grit, and I think it’s good to record in a place with grit. Do you think London is grittier? I think New York and London are very similar. Well, they’re both obviously different from Kansas City!